Queens Mead from entrance, chimney of water pumping station in distance. Queen’s Mead was purchased by subscription in 1887 to celebrate the 50th year of Queen Victoria’s reign. It was the traditional site of Bromley fairs and gatherings. Up to the 1930’s it was also the scene of all the main open air events in the town including Broom Day when it is reported that thousands of people flocked to the Mead to celebrate the day. It is in the flood plain of the River Ravensbourne, which once meandered across here, shaded by an army of fine elm trees. Time has treated the area savagely. Following the floods of 1969 the river was put into a concrete trench and the elms all died from Dutch elm disease in three years later. Having been stripped of its picturesque elements what is left is a flat playing field. It used to be the site of some cricket matches during the summer but is now only used for football matches, official or impromptu. Improvements to this area are part of our long-term Ravensbourne Valley Restoration Scheme. There are not many places of especial interest here generally used for football matches which are organised by Football Queensmead. However there are good views up the slope of Martin’s Hill towards the town centre. If you can ignore for a moment the looming shape of the Central Library/Bromley Theatre, the view of the parish church remains very similar to what it was in the late 19th. century. While it is an unfenced natural area there are a number of features. 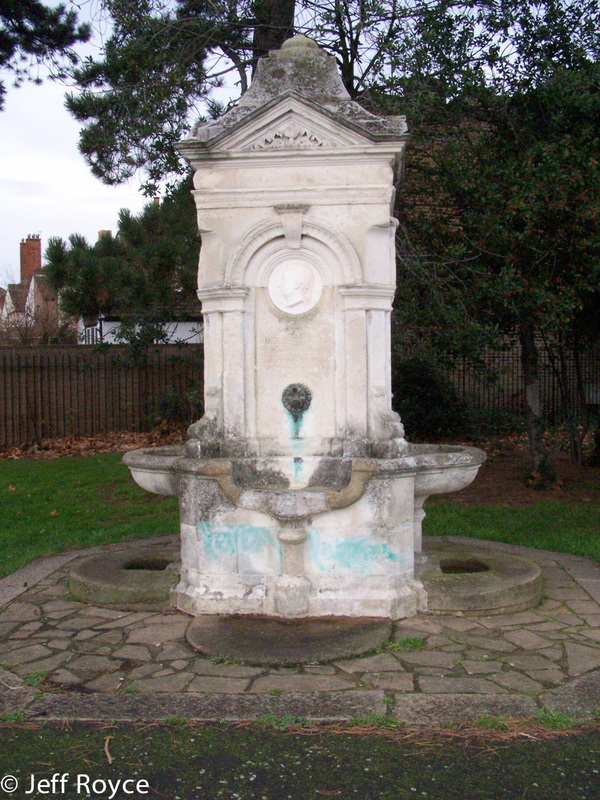 Victorian Drinking Fountain. Presently in a sad condition it is located near to the pavilion. Originally it was located on the top of Martin’s Hill near to where the War Memorial now stands. When the latter was erected in the 1920’s the fountain was moved to its present position. Jogging route. There is a good circuit here for joggers. If you are a bit more energetic you could include the slopes of Martin’s Hill in your route! River Ravensbourne. Divides Queen’s Mead from adjacent Martin’s Hill. Upstream across Glassmill Lane can be found the historic Mill Pond. Football. Official matches are organised by Football Queensmead. Bowls. 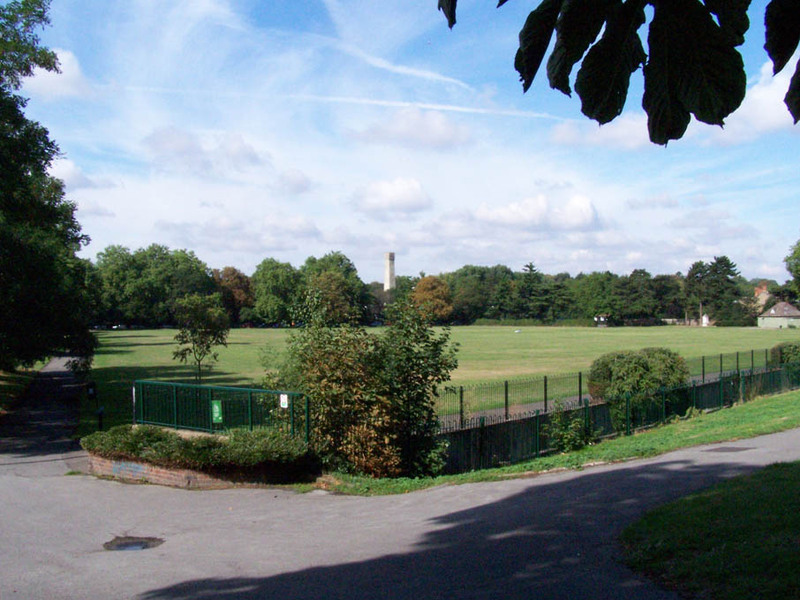 Immediately adjacent to this park can be found Queensmead Bowling Club which celebrated its centenary in 2010.